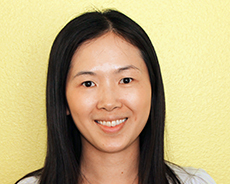 Dr. Tsai is a licensed clinical psychologist in the state of California. She has extensive experience working with children and families. Dr. Tsai graduated from Cornell University and received her PhD from the University of Michigan. She has worked at the EBC School since the beginning of 2010. Her primary areas of specialization include enhancing parent-child relationships and treatment of children who struggle with anxiety, mood disorders, ADHD, and Autism Spectrum Disorder. She believes in working collaboratively with her clients and tailors her therapy to each individual family. She utilizes a combination of cognitive-behavioral, psychodynamic, dialectical behavioral, and family systems modalities. She feels honored to be a therapist and looks forward to connect with and support families in need.